A clear sky. Low near 35F. Winds NNW at 5 to 10 mph..
A clear sky. Low near 35F. Winds NNW at 5 to 10 mph. 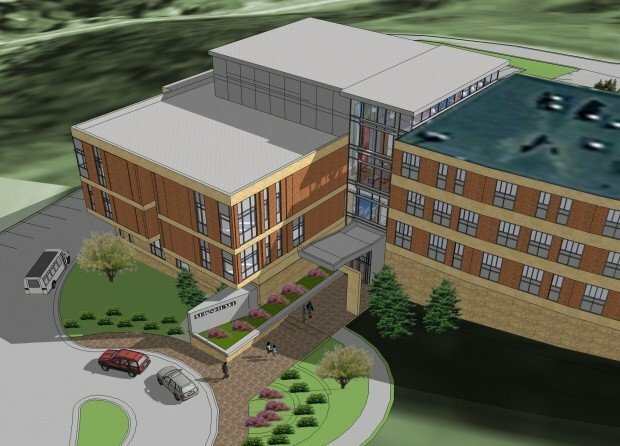 DUBUQUE, Iowa --- Clarke University announced today that the university's Board of Trustees has voted unanimously to construct a new state-of-the-art science facility on campus. Groundbreaking for the new facility is slated for this spring with an anticipated opening in fall 2013. 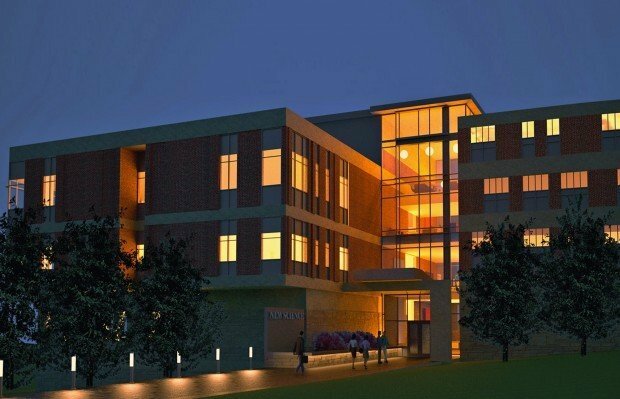 "Clarke University is a leader in preparing the science and health science leaders of tomorrow," said Clarke President Joanne Burrows, SC, Ph.D. "This new facility will create a learning environment that matches the exceptional quality of the university's science and health science programs." The three-story building will be located on Clarke Drive and will connect to Catherine Byrne Hall. The facility's new flexible, modern spaces are designed to seamlessly integrate lecture and laboratory spaces while fostering a collaborative, hands-on learning environment. The result will be the ability to implement "pedagogies of engagement" - teaching practices designed for today's learners and techniques that are difficult to deliver in the current science facilities. The new facility is designed to enhance collaboration through informal gathering spaces. It will create an atmosphere in which students can move from a casual study group in a common area to a very specific research project in an advanced lab with little transition. "This new facility will take Clarke's ability to educate scientists and health practitioners to the next level," said Carolyn Haupert, chair of the Clarke Board of Trustees. "Thousands of graduates from these programs are making a difference in the world and this building will ensure that future Clarke graduates are prepared to make an equally profound impact. The trustees are very pleased to see this project coming to fruition." Beyond science and health science majors, this new facility will also positively impact the experience of all Clarke students as they complete general education coursework in the sciences - coursework designed to broaden the perspectives of students in every major. "This new facility will touch every student while greatly enhancing the ability to teach our students the science of tomorrow," said Burrows. "It will be a beautiful facility that makes an immeasurable difference on campus." Designed by the Clark Enersen Partners, which specializes in science facility design, and with construction managed by Conlon Construction, the building will also incorporate green building characteristics including numerous energy efficient features and a greenhouse for environmental studies. For more information, contact the Clarke University Marketing and Communication Office at (563) 588-6318.